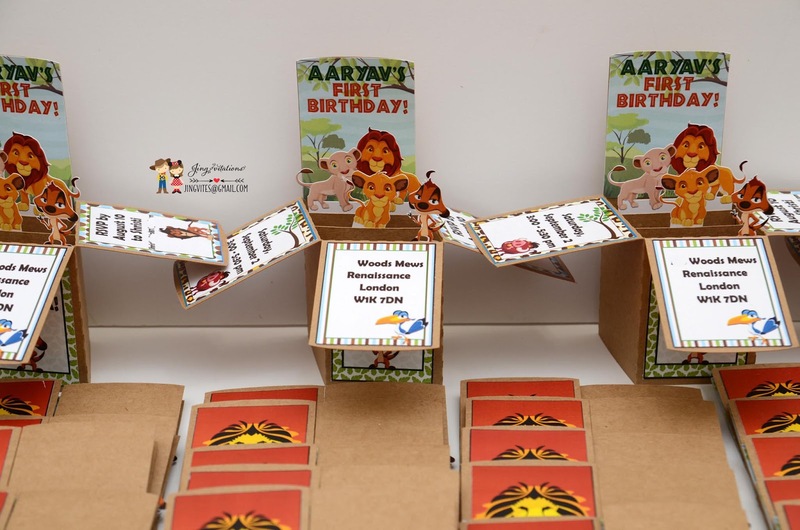 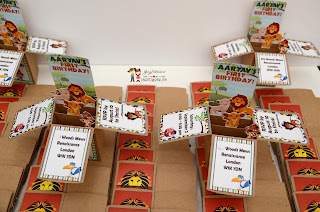 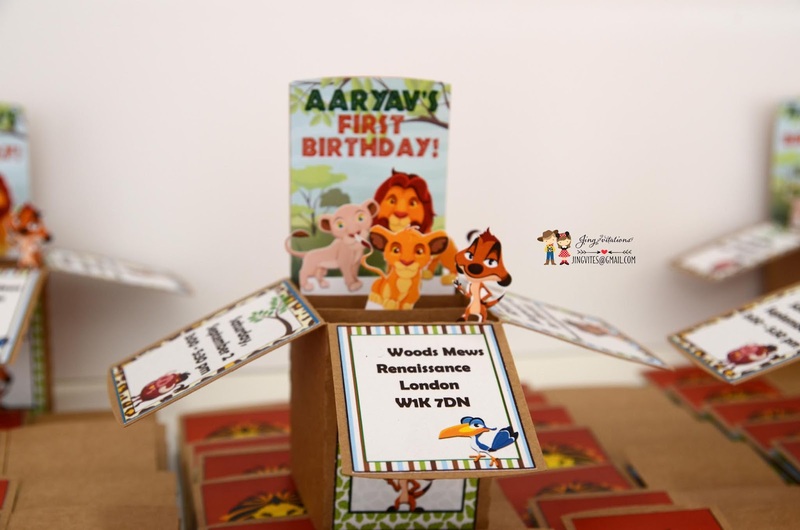 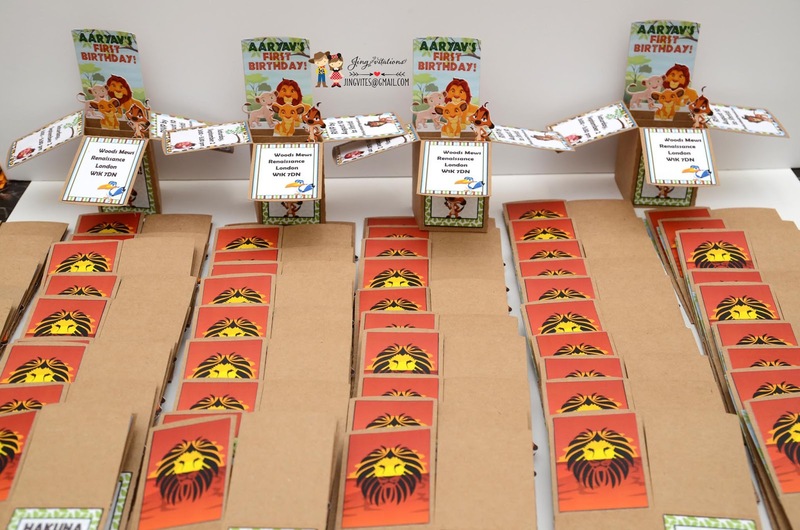 This design can be used for Animal Kingdom or Jungle Safari Party theme. 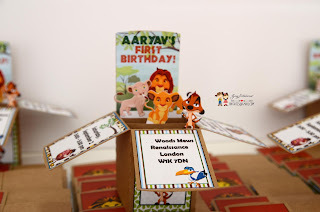 Invitation is box design but can be folded flat to fit in an emvelope. 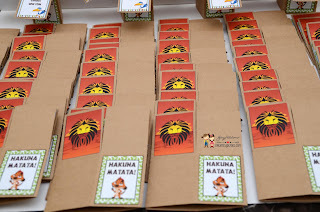 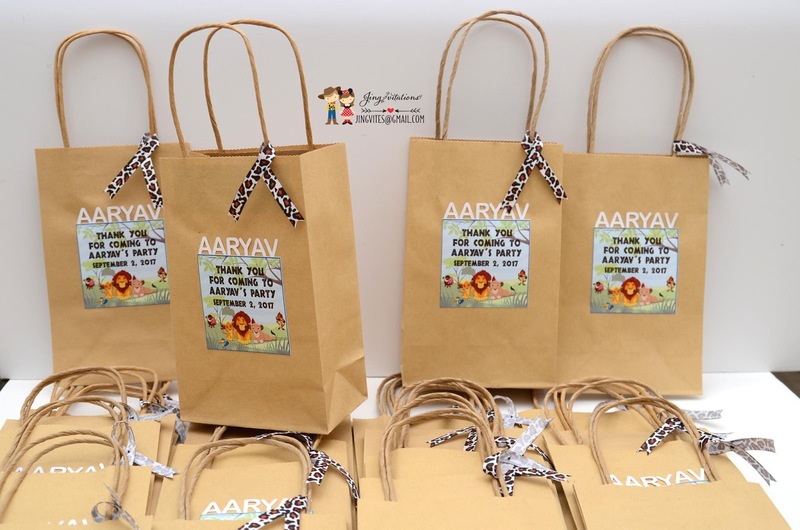 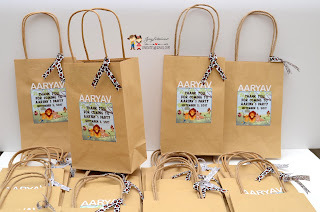 Goody bag is personalized with celebrant's name. 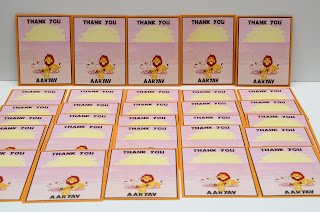 A matching Thank you card is available as well.